Many of you having a site with good traffic always look for a advertising network that provides you some extra money or at least have stumbled across several sites that pay you to click on a number of ads each day for cash. While some of these can be cast aside as scams or ignored as their payouts are not lucrative enough, there is a new money-making opportunity online that may prove more profitable than it seems – Bitcoin advertising. 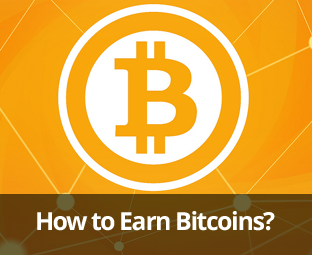 In this article, we will show you how to earn bitcoins through advertisements on your website. For those who know about Bitcoin or have read about it on a Cryptocurrency or Bitcoin News website, you are probably aware that the currency is volatile and may have chosen to stay clear of it. However between January 2015 and January 2016, the value of a single BTC (Bitcoin) has soared from $177 to $447! So just why could this be a money-making opportunity aside from the obvious answer of us telling you to blindly invest in it ... It’s simple – there are now several major networks that will pay you in BTC for advertising space on your site and just to click other adverts from registered BTC Advertisers. A simple search in Google for Bitcoin advertising will yield hundreds of trusted networks that are looking for users to help generate traffic or host banners for them and this is where you can make a fortune. Over 2015, imagine that you had earned $10,000 by hosting adverts on your website/s or by following number 6 on our students advice post and clicking thousands of web pages. Today that $10,000 will still be worth the same value, but if you had been paid out in Bitcoin and not spent it, it would now be worth over $25,000! That’s over 2.5x your return on investment for the exact same amount of work! So if by reading this article so far you have been persuaded into starting a new website or changing yours to make some real money online and are open to taking a punt on an e-currency that, while unpredictable, could offer huge returns for you, here are a few site networks to check out. We hope this article may have help you in learning how to earn bitcoins through advertisements on your website. Bitcoins advertising can be a great alternative to Adssense because the payouts are remarkable. If you like this article, feel free to give it a share. Are these sites honest ? ?